Auburn University’s Samford Stadium-Hitchcock Field at Plainsman Park has long been regarded as one of the top collegiate baseball stadiums in the country. When University administrators decided it was time for a new lighting system at the stadium, they were determined to find a solution that would make the experience there even better for players and fans. After exploring several options and visiting facilities, the team at Auburn chose Musco’s Total Light Control—TLC for LED™ technology. Upon seeing the results delivered by Musco’s system at a nearby university, as well as those of a different manufacturer at another university, the difference in light quality, control, and the elimination of glare was immediately apparent. 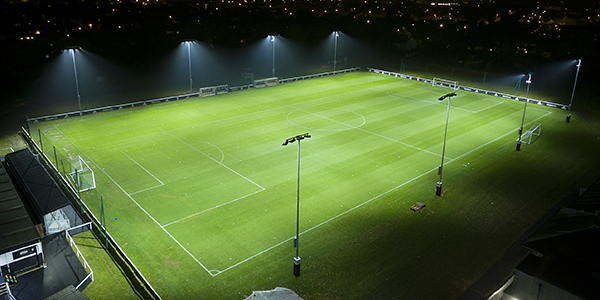 Light Quality – the whiter, more uniformly distributed light on the field enables players to track the entire flight of the ball. 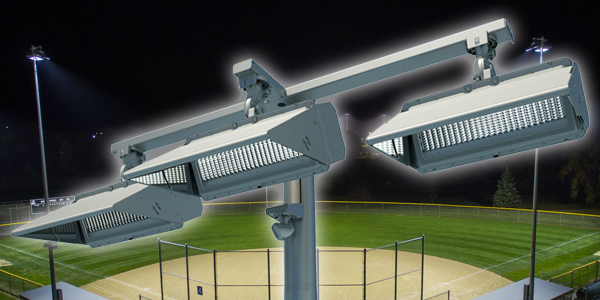 Glare Control – the system’s patented glare control technology improves visibility for players and fans. System Solution – using Auburn’s existing poles, Musco designed a retrofit solution that included new crossarms, wire harnesses, and light fixtures, which was factory wired, aimed, and tested to ensure reliable performance. Zero Maintenance – Musco’s 25-year parts and labor warranty will relieve Auburn from maintenance concerns or costs over the long term. The new LED system will cut CO2 emissions by 845 metric tons and save Auburn more than $442,000 in ownership and operating costs over the next 25 years.